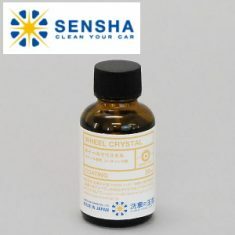 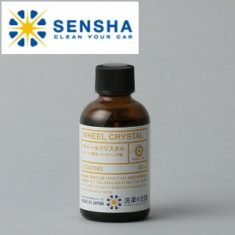 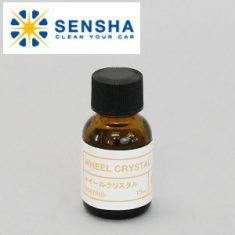 WHEEL CRYSTAL - SENSHA CO., LTD. Most products available in the market are using oil base material. 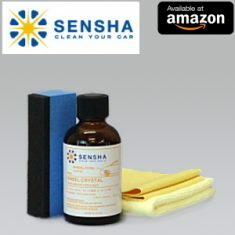 To give you some information about the idea If the product contains oils, in fact, it will be oxidized and eventually washed by water or rain. The wheels will start looking dull because of the degraded coating. 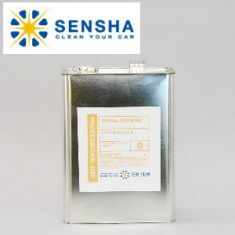 It will be hard to remove the brake dust even by washing.If you leave this for some times, the situation can be worse than before the application. 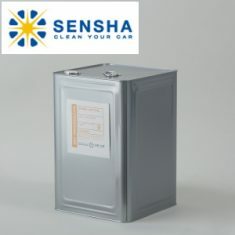 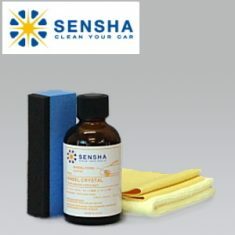 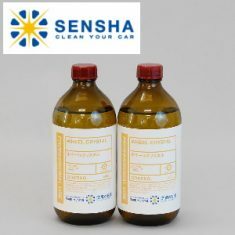 Now let me introduce the advantage of our product SENSHA WHEEL COATING,This product will not oxidized not either deteriorated because it contains a artificial glass like material as a main ingredients not oil.So, it coated the wheel surface and protect against rust, dull, UV ray, splash of asphalt, mud also avoid light scratches caused by automatic car washing machines or even a dirty rough towel that might be used for wiping during washing the car manually.